With Wednesday's release of Mac OS X Lion, Apple has definitively leapfrogged its rivals by offering an operating system with state-of-the-art security protections that make it more resistant to malware exploits and other hack attacks, two researchers say. Unlike the introduction of Snow Leopard in 2009, which offered mostly incremental security enhancements, OS X 10.7 represents a major overhaul, said the researchers, who spent the past few months analyzing the OS. The most important addition is full ASLR. Short for address space layout randomization, the protection makes it much harder for attackers to exploit bugs by regularly changing the memory location where shell code and other system components are loaded. Other improvements include security sandboxes that tightly restrict the way applications can interact with other parts of the operating system and full disk encryption that doesn't interfere with other OS features. 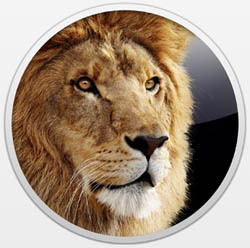 Although ASLR made its OS X debut in Leopard, the predecessor to Snow Leopard, its implementation was woefully inadequate because it failed to randomize core parts of the OS, including the heap, stack, and dynamic linker. That meant entire classes of exploits were automatically immune to the protection. It also prompted many to wonder why Apple engineers bothered to put it into the OS in the first place, or didn't properly implement it with the introduction of Snow Leopard. Windows Vista and Ubuntu, by contrast, added much more robust implementations of ASLR years earlier. With virtually all browser exploits targeting the way the program parses web content, Apple engineers have tightly locked down the new process, called Safari Web Content. The design is intended to limit the damage that can be done in the event an attacker is able to exploit a buffer overflow or other bug in the browser. FileVault 2 also includes other improvements, such as the ability to encrypt disk contents when a Mac is put to sleep. No doubt, Apple deserves kudos for setting a new standard in OS security that Microsoft and Linux distributors would do well to emulate. But it would be a mistake for Mac users to think their OS is invulnerable. As the most recent Jailbreakme exploit made clear, real-world hackers can still find ways to root iPhones and iPads when the devices do nothing more than visit a booby-trapped website. If iDevices, which contain security protections that go well beyond those found in OS X, can succumb to drive-by downloads, there's no reason Macs aren't also vulnerable.